Fan-friendly fame phenomenon Lady Gaga has given her seemingly countless numbers of Little Monsters another reason to be cheerful this morning with the announcement of the European dates on her Born This Way Ball Tour. 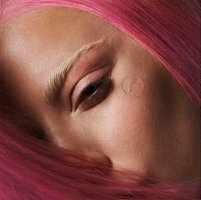 As Stefani Germanotta turned 26 a fortnight or so ago (happy birthday Gaga), she may have taken time to reflect on what has happened since she was 22. In short, she has become, probably, the most recognisable and talked about woman on the planet. The numbers alone are dizzying. She has already sold around 25 million albums and 65 million singles. She has 22 million Twitter followers, 50 million Facebook 'likes' and more than 2 billion views on YouTube. Musically, Gaga is an all-conquering force, swarming and overwhelming every chart she enters. She has, in a new age of social media, redefined the term 'megastar' and mounted a serious challenge to the crowns of Michael Jackson and Madonna as the ruler of all pop. Forget Britney, laugh off the challenge of Kylie. Gaga is the new currency and, soon enough, she'll be here causing yet another storm in a crazily designed B-cup. The Born This Way Ball world tour kicks off in South Korea later this month and, after dates in Asia, Australia and New Zealand, lands in Europe on August with a date in Bulgaria. The Haus of Gaga will then bring its predictably jaw-dropping stage show to the UK on 8th September in Twickenham, before a second UK show at the Manchester Arena on 11th September. Support comes from The Darkness and Gaga's resident DJ Lady Starlight. We will have tickets for Lady Gaga's Born This Way Ball UK dates when they go on sale at 9am on Friday 13th April, priced from around £60. The machine then rolls onto Ireland with a Dublin date on 15th September. Tickets for Dublin go on sale on Monday 16th April, priced from €54.65.